The first day of the BlackBerry Developer Conference had us going from early morning till late at night, but just before the evening reception kicked off we had a chance to sit down for an interiew with Chris Smith from Research in Motion. Chris' title is Sr. Director, BlackBerry Development Platform, which means a WHOLE BUNCH of major software responsibilities fall on his plate. 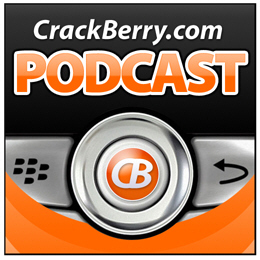 For all of our faithful CrackBerry readers out there, THIS IS THE PODCAST YOU HAVE TO LISTEN TO. We cover a LOT of topics here.... all the hot issues and topics that pop up in the forums daily - the web browser, OS 5.0, app memory, and WAYYY more. It's about 32 minutes. Take a listen. Enjoy the show! !